Publishing continuously since 1926, the Indiana Business Review provides analysis and insight on economic and demographic issues. 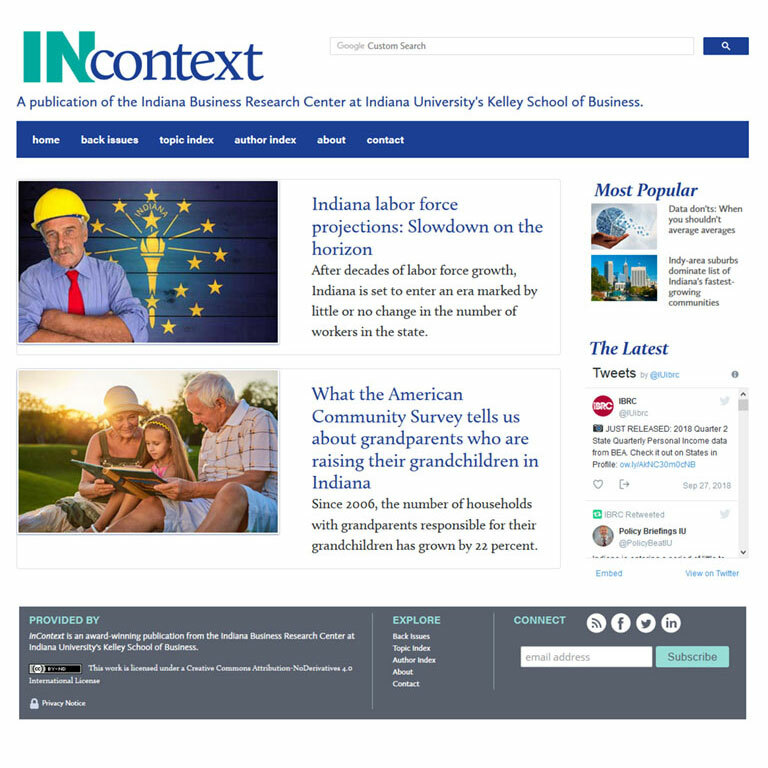 The award-winning publication InContext is published online every other month, offering substantive articles on the Indiana economy in context within the state and the nation. 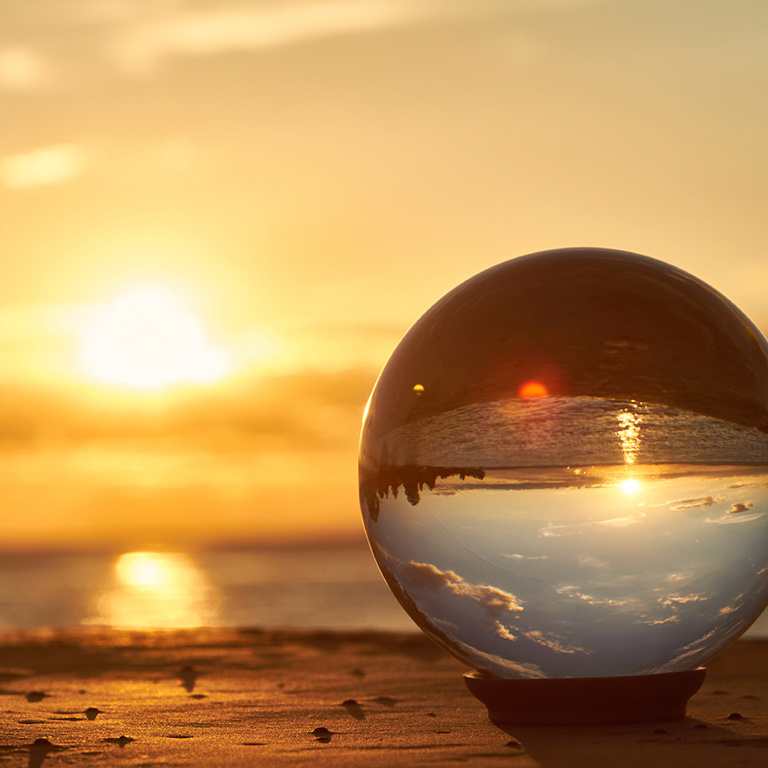 The Center for Econometric Model Research (CEMR) produces economic forecasts each quarter for the United States, Indiana, and Indiana metropolitan areas. Special reports published by the IBRC are listed in reverse chronological order below, or you can view reports by category. Foreign direct investment (FDI) may follow incentives, but incoming firms are also attracted to the presence of industry clusters and the benefits of colocation. This report explores the empirical findings, noting which regional characteristics make FDI more likely. This latest installment of our annual report on Indiana’s housing market explores current market conditions, the demographic drivers of housing, and the role of housing in Indiana’s economy in 2018. This report, prepared for the Indiana Energy Association, presents the findings of a detailed analysis of the full economic contributions of Indiana’s 14 investor-owned energy providers. Many Hoosier firms expect international business to play a growing role in their future success. This report summarizes the results of a survey of Indiana businesses on their company's international activities and the readiness of recent college graduates to operate effectively in the global economy. This report analyzes the economic impact of livestock industries across Indiana regions, exploring how the presence of animal agriculture ripples throughout the Indiana economy. This slide deck, prepared for the NABE Spring Conference, presents an overview of expectations for economic growth in the state, a high-level look at Indiana’s exports and foreign direct investment, and a quick take on the Carrier deal that immediately followed the 2016 presidential election. This latest installment of our annual report on Indiana’s housing market explores current market conditions, the demographic drivers of housing, and the role of housing in Indiana’s economy as we head into 2017. The new version 2.0 of the Innovation Index includes more than 50 new variables, providing insight into the innovation capacity and innovative output of a region. This report explains how the index is constructed and calculated. The major index categories are described in detail, including the basis for why the individual measures were chosen and specifics regarding how they are calculated. This study provides comprehensive estimates of the economic effects of agriculture in each Indiana county, as well as detailed analysis of 10 specific agricultural industries. This web-based publication analyzes Indiana's export trends, breaking them out by destination country and by commodity, to present a complete picture of the state’s export activity in the global economy. This annual report explores Indiana's housing market conditions, the demographic drivers of the housing market, and the role of housing in Indiana’s economy. This web-based publication explores FDI trends nationally, in the Midwest and in Indiana using several data sources, including the U.S. Bureau of Economic Analysis and fDi Markets. This report aims to provide comprehensive estimates of the total economic footprint of Indiana agriculture, from direct production to agriculture-related processing and manufacturing. This report explores Indiana's housing market conditions, the demographic drivers of the housing market, and the role of housing in Indiana’s economy. This study analyzes Indiana's export trends, breaking them out by destination country and by commodity, to present a complete picture of the state’s export activity in the global economy. This report analyzes recent historical data from the Bureau of Economic Analysis on FDI trends nationally, in the Midwest and Indiana, as well as "real-time" FDI announcements made between 2011 and 2013. A major regional strategic planning effort was initiated in 2013 to identify paths to growth and prosperity for an 11-county region in Southwest Central Indiana (SWCI). This report presents data and analysis focused on key characteristics of the region’s economic and demographic performance. Existing home sales in Indiana increased in 2012, and the state’s housing market is off to an even stronger start this year. Much attention is given to the dynamism of five large and rapidly growing emerging economies: Brazil, Russia, India, China and South Africa. This analysis assessed these countries’ growth in imports from the U.S. and Indiana and added a set of emerging markets that may rival the BRICS in terms of export growth potential. This report presents new information on the size, composition, and distribution of paid nonprofit employment in Indiana’s health care industry. The eighth report in a series of statewide employment analyses, it focuses on trends in nonprofit health care employment from 1995 through 2011. Data over this time period give us insights into how recessions and economic growth periods impact private nonprofit employment in this industry. This report analyzes recent historical data from the Bureau of Economic Analysis on FDI trends nationally, in the Midwest and Indiana, as well as "real-time" FDI announcements made between 2010 and 2012. This report tells the tale of Indiana’s agriculture production trends, the changing dynamics of the agriculture industry and its economic impact. This pilot study documents the network of Midwestern federal labs and different types of technology-based economic development entities, making recommendations on how to strengthen the relationships needed to expand the commercialization of technologies developed in federal labs. This report presents estimates of the Indiana employment and economic output effects of artificially high natural gas prices due to the production of substitute natural gas (SNG). In order to address the question of how to expand exports even more, we investigated which industries may be under-exporting and identified over a thousand small and medium-sized enterprises that may benefit from policies and programs to encourage companies to export. This report, prepared for the Indiana Association of REALTORS, explores Indiana's market conditions, demographic fundamentals and the impact of housing in the broader economy. This research brief explores the potential effect of academic majors on unemployment dynamics (the risks of becoming unemployed and the likely duration of unemployment). It found that graduates' choice of academic major can greatly influence the probability of becoming unemployed during a severe economic downturn. This report details the goods and agricultural commodities that Indiana produces and sells overseas, and includes a brief section highlighting export activity to countries in Latin America and the Caribbean. This report analyzes recent historical data from the Bureau of Economic Analysis on FDI trends nationally, in the Midwest and Indiana, as well as "real-time" FDI announcements made between 2009 and 2011. This report details the economic benefits of agricultural exports on the Indiana economy. It first provides a profile of the state’s agricultural production and export trends, followed by the results of an economic impact analysis that captures the broad economic effects of agricultural exports. This report documents how postsecondary education affects work and income outcomes. It attempts to answer several questions: What are the work outcomes of all postsecondary graduates from Indiana’s public colleges and universities one year and five years following graduation? In what industries are graduates employed? How do these employment patterns vary by degree level, gender, race and time? The Kokomo, IN, region has witnessed significant changes in its economic composition over the past 10 years. In preparation for a major initiative to foster regional transformation, Indiana University Kokomo (IUK) commissioned this study examining these changes to provide context and stimulate discussion among the region’s leaders and the public. This report provides a useful tool for those wanting to understand the key characteristics of the Bloomington economy. This study examines local demographic, housing, education, employment and income trends, placing them within the context of similar communities around the nation and state. This report looks at the wage gains attained by adult students at Indiana's two-year institutions for various levels of educational pursuit and educational attainment. This report reveals that, even though the national economy has struggled throughout the last decade, the State of Indiana has quietly established itself as an environment where defense-related companies are thriving. Given restructuring in the auto industry, many displaced workers need help to find suitable alternative jobs. The research documented in this report provides a new technique to find occupations that require similar skills and an easily understandable measure to communicate the estimated time needed to transition between occupations. The two-step pathway cluster and skills gap analyses developed in this study offer valuable guidance to displaced workers charting pathways to new career opportunities. This study follows up on the last major benchmarking analysis of Orange County’s economy five years ago. In the interim, the county has experienced major improvements to the French Lick Resort, the West Baden Springs Hotel and numerous other businesses marking a significant resurgence in the Valley area. This international report presents data and trends for Indiana exports and foreign direct investment (FDI) activity in the state and explore the extent of Indiana’s global engagement. Additionally, in this year’s report, there is a focus on trade and investment linkages between the European Union and Indiana. 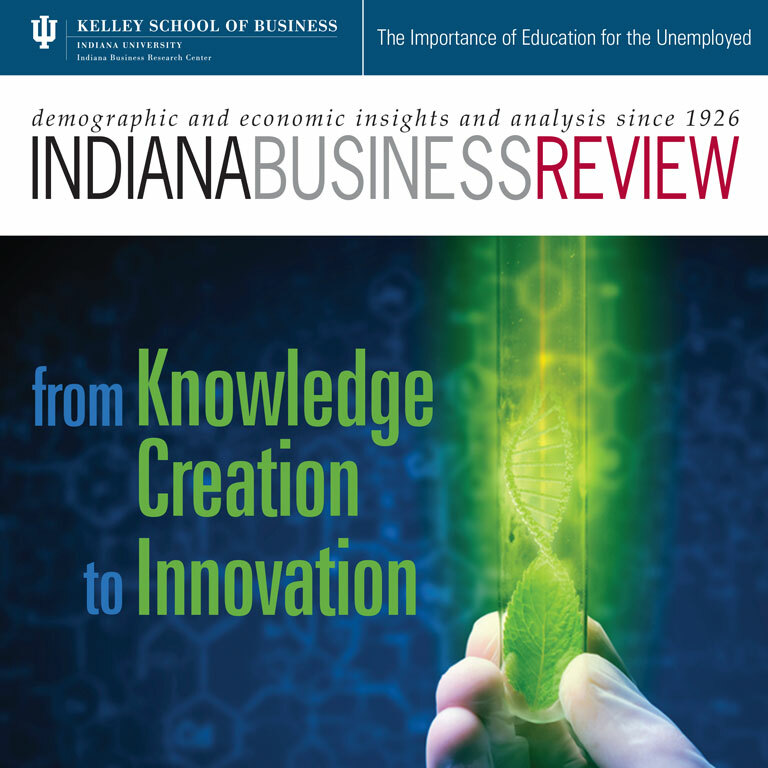 This BioCrossroads report, developed in a partnership with the IBRC, assesses where Indiana stands nationally in the life sciences industry as of December 2010 and documents progress the state has made in this dynamic industry. Many economists, workforce analysts and policymakers across the nation assert that the burgeoning green economy may provide new job opportunities, but traditional sources of information on industries and occupations are not specific enough to accurately measure the number of green jobs in the economy. Indiana conducted a statewide green jobs survey to provide a benchmark for the number and characteristics of green jobs in the state. This report explores how the auto industry is evolving, the impacts that is having on automakers and the supply chain, and alternative career pathways for the displaced workforce. Kosciusko County’s orthopedic industry cluster makes a significant contribution to the regional and state economy. This report outlines the contributions this industry makes in terms of economic output, employment and government revenues. Technology transfer (T2) agreements can have significant economic benefits in the civilian sector, especially for small, entrepreneurial start-up companies that are the backbone for innovation and economic growth. This is the 2-page executive summary handout from Department of the Navy Technology Transfer Program report. This report developed practical tools and frameworks to help guide economic development strategy and decision making for regions throughout the United States, especially rural regions where strategic support is often lacking. It includes development of the Innovation Index, occupation cluster analysis and guidelines for regional investment. The Wayne County Foundation and Indiana University East partnered with the Indiana Business Research Center (IBRC) at Indiana University’s Kelley School of Business to prepare a report on Richmond area community and economic indicators. This report provides a detailed account of the Richmond area by examining local demographic, housing, education, employment and income characteristics. The analysis also compares Richmond’s performance on several key indicators to that of a peer set of similar communities from around the nation and the state. This study for the Indiana Economic Development Corporation reports on Indiana export trends and patterns, broken out by destination country and by commodity, comparing Indiana to other states in the process. Despite possible warning signs in financial and credit markets in 2007, global foreign direct investment (FDI) hit a record high of $1.8 trillion, according to the United Nations. Many observers, however, expect the global economic crisis will undercut the growth of FDI in 2008 and 2009. Eli Lilly and Company has a significant impact on both the size and the growth rate of the Indiana economy and the Indianapolis-Carmel metropolitan statistical area (MSA), which contains its headquarters and many of its facilities. Lilly has also had a significant impact on direct, indirect and induced employment in the state, ranking as one of Indiana’s largest employers and supporting additional jobs in other firms by a rate of nearly 2-to-1. The IBRC conducted an extensive analysis of the economic benefits of the Indiana University system on the state of Indiana and of IU’s eight campuses on the regions they serve. The resulting reports present IU’s core activities related to education and research as well as the economic benefits of collateral activities such as university spending associated with its core mission or the economic value of, for example, the service-learning that mobilizes students to work for free in the community. The study adopted a rigorous methodology to provide a realistic assessment of the many dimensions of IU’s economic footprint. This report, produced for the Indiana Economic Development Corporation aims to provide an overview of Indiana’s position in this field by examining four aspects of the life sciences. The first section presents information on the employment, typical wages and output of Indiana firms engaged in life science industries. The second section offers a different perspective on life science employment by analyzing occupation-level data. The final two sections observe Indiana’s position in the global marketplace with a look at the state’s life science-related foreign exports and the direct investment of foreign companies in Indiana. This report presents the economic footprint of Indiana’s state-supported Community Health Centers (CHCs). The study was commissioned by the Indiana State Department of Health (ISDH) and the Indiana Primary Health Care Association (IPHCA) and conducted by the Indiana Business Research Center (IBRC) of Indiana University’s Kelley School of Business. In addition to the economic footprint of CHC spending on goods, services and compensation, the IBRC also estimated the value of non-monetary gifts-in-kind and CHC related volunteer service based on a survey of CHC directors. This report presents the findings of a research project designed to answer the question: does proximity to a concentrated animal feeding operation (CAFO) or a confined feeding operation (CFO) affect property values? It was conducted on behalf of the Indiana Soybean Alliance. This report to the Indiana Economic Development Corporation analyzes Foreign Direct Investment (FDI) activity in Indiana, the U.S. and the world. FDI in Indiana is examined by sector and by country of origin. The IBRC conducts research periodically for the Bloomington Economic Development Corporation profiling the economy of the Bloomington area and benchmarking it against comparable cities in Indiana and around the nation. The U.S. Economic Development Administration (EDA) funded research to develop a model that can be used by America's rural communities. Indiana was chosen as one of only two grantees in the nation. The overall purpose of this new study was to develop a database and methodology to help rural areas in the United States assess their regional economic competitiveness to support growth and development strategies. At the request of the Orange County Economic Development Partnership, the IBRC conducted a study to profile the economy of Orange County, Indiana, and to benchmark its performance against other comparable counties. This study was also designed to identify industries the OCEDP could consider targeting in its development efforts. This study estimates the economic impact of the new Reid Hospital on the seven-county region consisting of Wayne, Randolph, Henry, Fayette and Union counties in Indiana; and Darke and Preble counties in Ohio. This IBRC study, sponsored by a consortium of private and public entities, was prompted by calls for increased efficiency in all levels of local government, including cities and towns, the county, townships, school systems, libraries and a variety of special taxing units in Lake County. This study provides insight into two key issues: impacts following the 2003 property reassessment and government efficiency. Along with others, this study played a role in the evolution of the Good Government Initiative, which was spearheaded by U.S. Representative Pete Visclosky.